Guidelines on "How to Post an Event"
What impact does infertility have on psychological well being? Infertility often creates one of the most distressing life crises that a couple has ever experienced together. The long term inability to conceive a child can evoke significant feelings of loss. 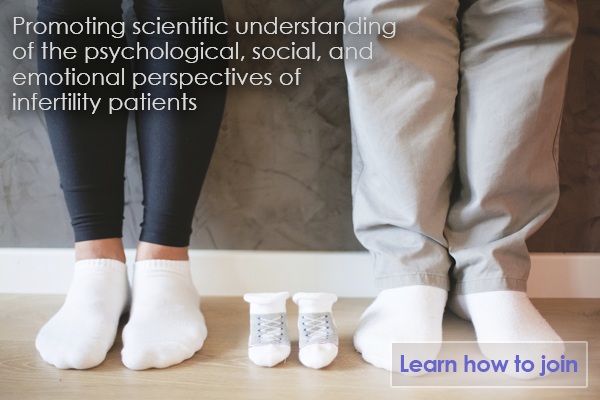 Coping with the multitude of medical decisions and the uncertainties that infertility brings can create great emotional upheaval for most couples. If you find yourself feeling anxious, depressed, out of control, or isolated, you are not alone. While the MHPG website offers public information about the organization and its activities, the site's interactive communities are for MHPG members only. Click here to see the newest members of MHPG. MHPG is a professional group of the American Society for Reproductive Medicine (ASRM). For more information about ASRM, visit www.asrm.org. Copyright 2016-2019 Mental Health Professional Group (MHPG). All rights reserved. MHPG is a professional group of the American Society for Reproductive Medicine.